Equally at ease in the club or at a pure techno festival, Terence reached this respected level, without ever succumbing to excessive promotion or subscribing to the mainstream. Terence Fixmer’s sound, which deftly avoids repetition by developing soundscapes that appeals to the club crowd, whilst still maintaining musical depth and integrity. Sombre, defined by surging rhythmical structures, Terence’s music appeals as much to dancing feet, as it does to the searching soul. he above all preserves an original style, an increasingly experimental, simultaneously ruthless and unrelenting interpretation of modern Techno, instantly recognizable. With his distinct music style and personality, Terence caught the attention of label owner Speedy J at a very early stage of the label. His first EP on Electric Deluxe ‘Machine’ (with Speedy J remix) was released in the beginning of 2009, followed by ‘Electric City’ (with Function & Speedy J remixes) in 2010. 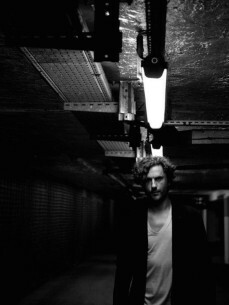 ‘Comedy of Menace’ is Terence new Album on Jochem Paap ( Speedy j) Electric deLuxe (sept 2010) . Comedy of Menace’ is Fixmers fourth Album. He already released two solo albums on DJ Hell’s Gigolo, the seminal “Muscle Machine” helped creat a masterful fusion between old style industrial/EBM music and techno ( “Techno Body Music”) As many will know Fixmer to this day has a side project Douglas McCarthy the legendary voice of seminal EBM band Nitzer Ebb (The Between The Devil album is a great chunk of dark aggressive techno tinged industrial). Terences third album, “Fiction Fiction” released on his own ‘Planete Rouge’ imprint in 2009 and veered far more towards deep ambience, emotive and cinematic by turns. With ‘Comedy Of Menace’ Terence Fixmer created a true techno album, with an instantly recognizable pure sound, a deep and dark atmosphere throughout. The Album is in many ways hypnotizing and mental, yet keeps the energy and a effectiveness for the dancefloor. Besides the Album release in September, the EP 'Comedy Of Menace pt1.’ will be released with a Planetary Assault System mix. New remixes done for Niederflur, for Traversable Wormhole on Chris Liebing’s CLR and Echologist aka Brendon Moeller will appear in the coming months. On Top, his EP on Tiga’s Turbo will hit in november ,+ a remix done for SEI A, and some music collaboration with Prologue artist to be revealed soon. Releases as well on Dave Clarkes s label White Noise rec.